B & G Heating & Air Conditioning, Inc., dba Burhenn & Gruenig, located in Brandon, South Dakota, is one of First District Development Company’s most recent clients to take advantage of a low, fixed interest rate with an SBA 504 loan. The 504 loan, in conjunction with a conventional loan offered by First Premier Bank in Sioux Falls, provided B & G Heating & Air Conditioning an attractive financing package featuring manageable debt repayment requirements, which in turn put an ease on their cash flow. 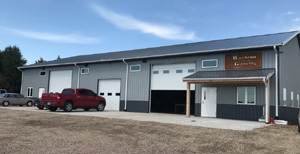 Loan proceeds from the 504 and First Premier Bank were used to construct a new building in Brandon to house B & G Heating & Air Conditioning, Inc. B & G had growing pains, as they had recently outgrown their previously leased building. 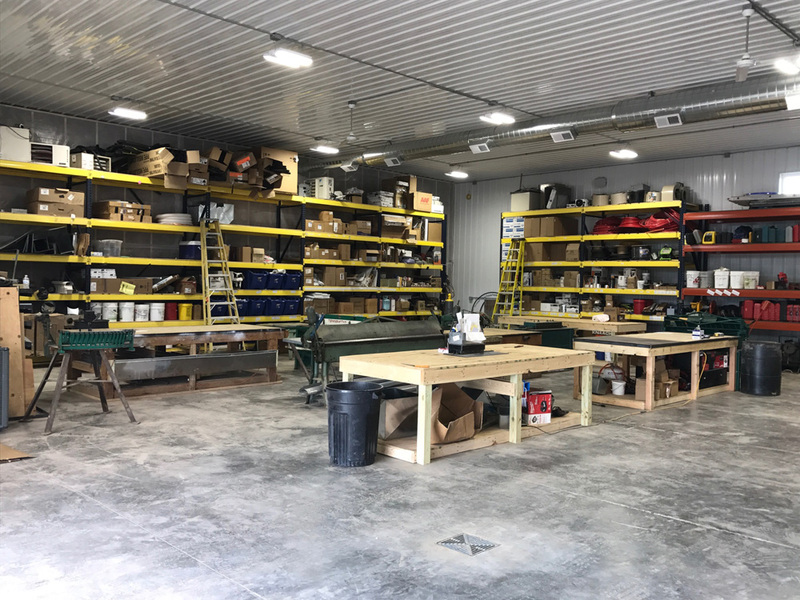 The newly constructed building has doubled their shop and will help to aid with future company growth. 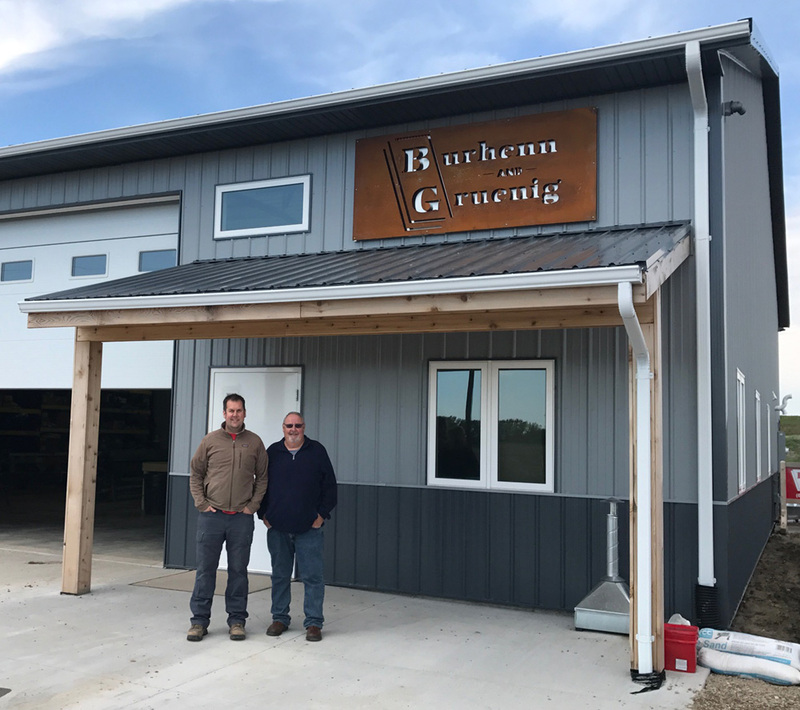 Burhenn & Gruenig is owned and operated by Thomas Gruenig, who purchased the business from his father Daniel in 2011. 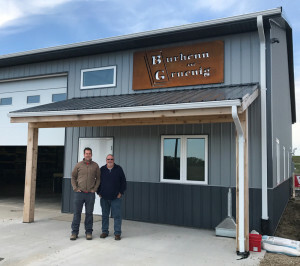 Burhenn & Gruenig has been in the Sioux Falls, South Dakota, market for over 25 years when Thomas’ father, Daniel Gruenig, and the late Tim Burhenn started the business in 1990. 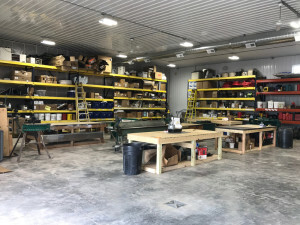 Burhenn & Gruenig have established many strong relationships since 1990 with numerous general contractors in the Sioux Falls and surrounding areas. The company provides heating and cooling systems for residential, multi-family properties and small commercial properties, with most of their work coming from new construction. In addition to providing new HVAC systems in homes and businesses, they provide annual service maintenance on their existing HVAC systems. Burhenn & Gruenig strive to meet their customer and contractor needs. They only use quality parts and employ some of the best in the construction industry. B & G Heating & Air Conditioning, Inc. provides unique duct work they are able to fabricate in their shop, which gives them a competitive edge. It also allows less air loss and more efficiency for their customers. Being a second generation family business, Burhenn & Gruenig is a true family affair. Since Tom took over the family bus iness, the company has grown by two-fold. Tom is responsible for bidding jobs, coordination of project schedules and is the main point of contact working directly with the onsite foremen, field personnel, subcontractors and home/business owners. Tom’s two sisters work in the office and you can still find Dan working around the office on a part-time basis. Currently, Burhenn & Gruenig employs nine full-time and three part-time employees. First District Development Company wishes the Gruenigs many continued years of success and also, thanks them for allowing FDDC to be a part of their business expansion.